Thanks to advances in the heated floor industry and in the manufacturing of engineered hardwood floors, you can install these products over radiant heat with confidence. That means you can enjoy the natural beauty of oak, maple, hickory, walnut and other fine hardwoods while enjoying the comfort and efficiency of in-floor radiant heating. 1. Solid wood flooring is less dimensionally stable than engineered flooring and so should be avoided over in-floor heating. 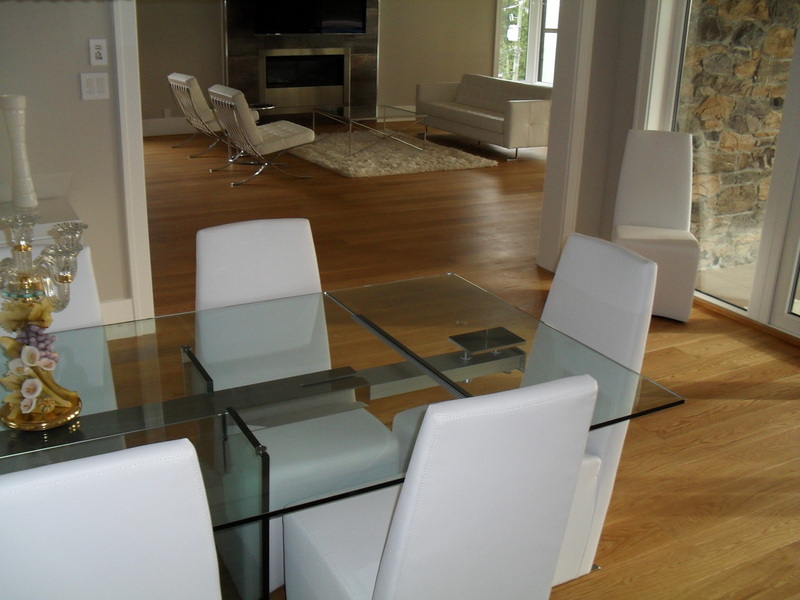 Engineered flooring products will offer the benefits of solid wood with the additional benefit of greater stability. 2. All Envision Hardwood Flooring products are warrantied over in floor, hot water, radiant heat systems unless otherwise stated provided the following procedures are followed precisely. 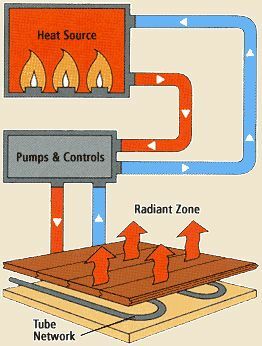 a) Ensure the radiant heat system has been on for at least two weeks before shipping flooring to site. b) Ensure the sub-floor is accurately tested for moisture and confirmed dry by the flooring contractor. c) Ensure that all wet trades (dry wall, wet tile) have completed their work. d) Ensure the thermostat dial is hooked up and operational so that a steady 20c can be delivered by the heating system. e) Ensure the building is fully enclosed and fully protected from the outside elements. ie; all windows, doors in place, and the building at lock up stage. f) Ensure all cementitious leveling underlayment has been poured and is thoroughly dry before wood floor delivery. g) Deliver the wood on to the heated floor (installation area). Stack the wood so that the heat and air can circulate around and between it. ONLY ACCLIMATE WOOD FLOORING INTO A DRY ENVIRONMENT. h) For direct glue down applications over gypcrete or light weight concrete, an adhesive bond test is recommended. 4. Acclimate the flooring on the heated concrete (20c or 70f) for a minimum of 72 hours prior to installation. 5. Relative Humidity must be maintained at between 35% and 55%, with the heat on, through out and after the installation. 6. All wood flooring products shrink and expand through the four season cycle. Bare in mind that light floors, such as natural maple contrast strongly against any small (black) gaps that develop between flooring pieces. Darker colored floors with busier grain patterns disguise gapping. The end user must be advised of this aesthetic detail. 7. Be gentle with the thermostat. Don't suddenly turn the heat on or off. Gradually adjust the heat up or down in 5 degree increments. This will reduce the chance of damaging your hardwood floor by subjecting it to sudden heat change. 8. If you go away in the winter time, leave the heat on at 15 c.
9. The recommended environmental conditions in the home (Relative Humidity and Temperature) must be maintained year round to avoid excessive shrinkage, expansion and the possibility of face checking (veneer splitting) and delamination. 10. Envision Hardwood Floors are not warrantied over electric pad heating systems.